Anyone for tennis at Auchenblae? 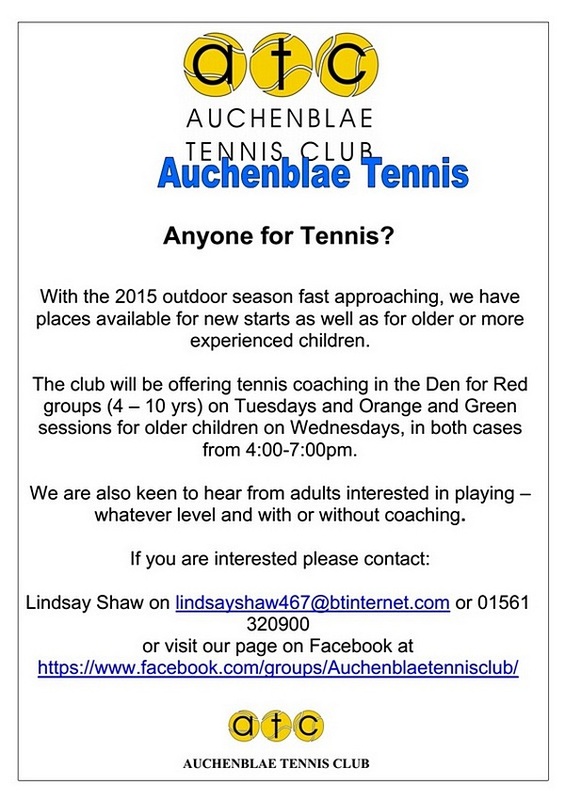 Auchenblae Tennis Club are keen to hear from adults and children of all abilities who would like to learn and play tennis. Details on the poster below. Click to contact: lindsayshaw467@btinternet.com or visit the club page on Facebook.